What was the silver value of 1964 and 1965 half dollars when they were minted? Mahra P. writes: I am curious about the 1964 and 1965 silver half dollars. 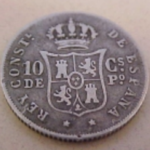 What was the price of silver in each coin at the time each coin was minted? What is the collector value for these two coins today? Silver’s price in 1964 hovered around $1 per ounce making a 90% silver U.S. half dollar (actual silver weight: .36169 troy ounce) worth approximately 36 cents. The silver content was reduced from 90% to 40% for half dollars (actual silver weight: .14792 troy ounce) made from 1965 thru 1970. At that time the silver value of each 40% silver half was about 15 cents. 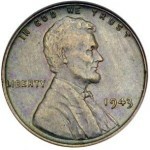 From 1971 to the present half dollars are struck on copper-nickel clad planchets. 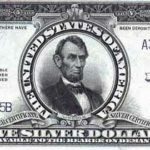 The government realized that the price of silver would eventually rise above the face value of U.S. silver coins and struck dimes and quarters in a copper-nickel composition from 1965. 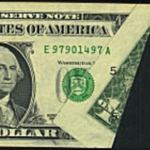 The mint continued to strike half dollars in a clad composition containing 40% silver but by 1970 the value of silver was in danger of exceeding even the debased half dollar. The 1970 half dollar was never issued for commerce since Congressional debate over continuing the 40% silver half prevented the mint from striking half dollars. Only mint and proof sets contain the 1970 half. Half dollars dated 1971 to the present are struck on the same copper-nickel clad material as the dimes and quarters. Average circulated 1964 half dollars are currently worth about $7.00 (summer 2013) and 40% half dollars bring about $2.00 each. 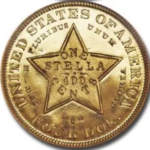 Gem uncirculated examples bring even more. Italian medal from the World’s Columbian Exposition of 1893Should I clean the "greenish substance" from my coins?